Reversing cameras used to be only for caravan and campervan drivers, who would use big and bulky wired cameras fitted to the back of the vehicle so they could see better when reversing. 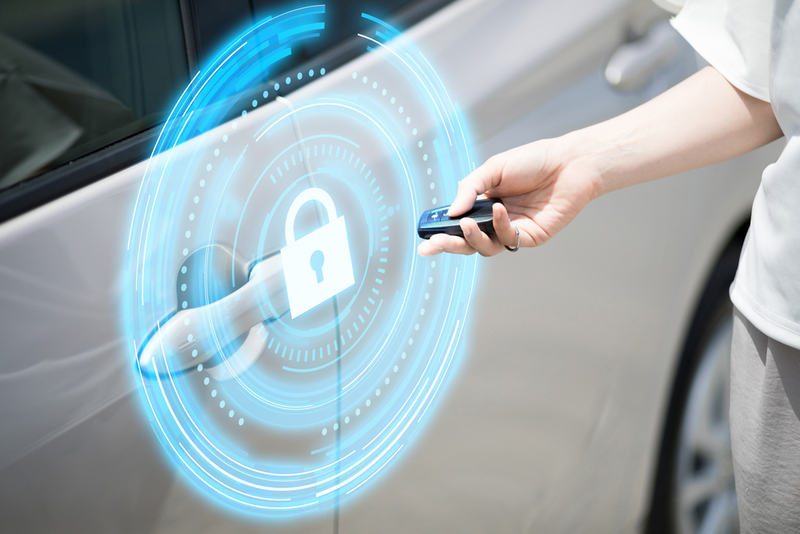 However, as technology has developed – both in terms of cameras and in-car driving assistance – more and more car drivers are seeing the benefit of fitting a reversing camera. Many new cars already come equipped with reversing, or ‘back-up’, cameras, which display the view from behind the car on the dashboard display. 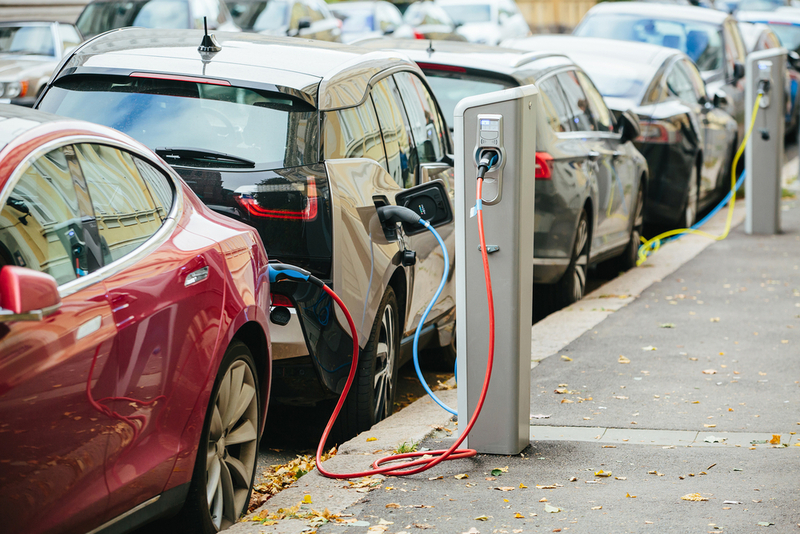 This can make parking in tight spots a lot easier – which is becoming an ever greater need as our towns and cities become increasingly congested and convenient parking spaces become less easy to find. If you do not have a reversing camera fitted as standard in your car, but would like the benefits, then there is now a growing number of products you can choose that are fairly cheap and effective. To help you choose the best one, we’ve identified the best reversing cameras currently available to buy – with some costing as little as £8.99. Wireless reversing cameras are much in demand, as they are easier to install and don’t result in making your car look a bit untidy with leads running from the dashboard. The Auto-Vox M1W works using a wireless transmitter that acts as a bridge between the camera and the display screen. The camera is dust-proof and water-proof and can be fitted anywhere near the reversing light of your car, van, campervan, lorry or any other vehicle. The display mount is a strong adhesive silicone bracket mount which can be mounted on the windscreen or dashboard. 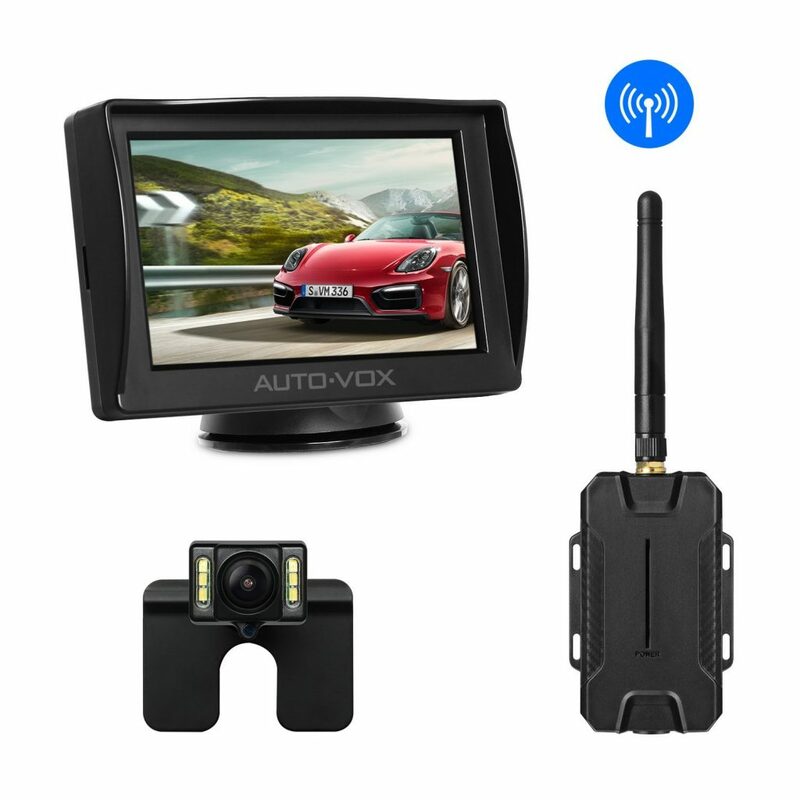 The Auto-Vox M1W reversing camera is a lightweight, easy to use and reliable camera that is perfect for drivers who don’t want the fuss and mess of lots of cables and also don’t already have a display screen fitted in their car. This heavy-duty backup camera is more suited to larger vehicles like vans, lorries, buses, horse boxes etc. It can work with 12V and 24V inputs and has a wireless transmission range of up to 10m. The monitor, which can be mounted on the dashboard or from the roof, automatically turns on when you start reversing and boasts a 7-inch display. 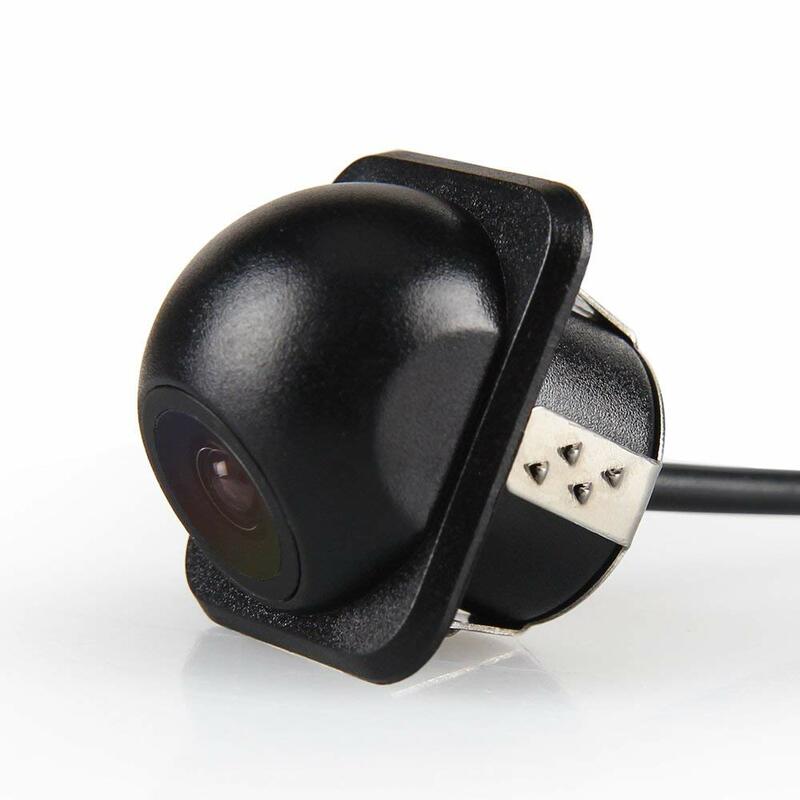 This Pumpkin reversing camera has a 170-degree viewing angle, which can be adjusted easily to suit your vehicle and preference. 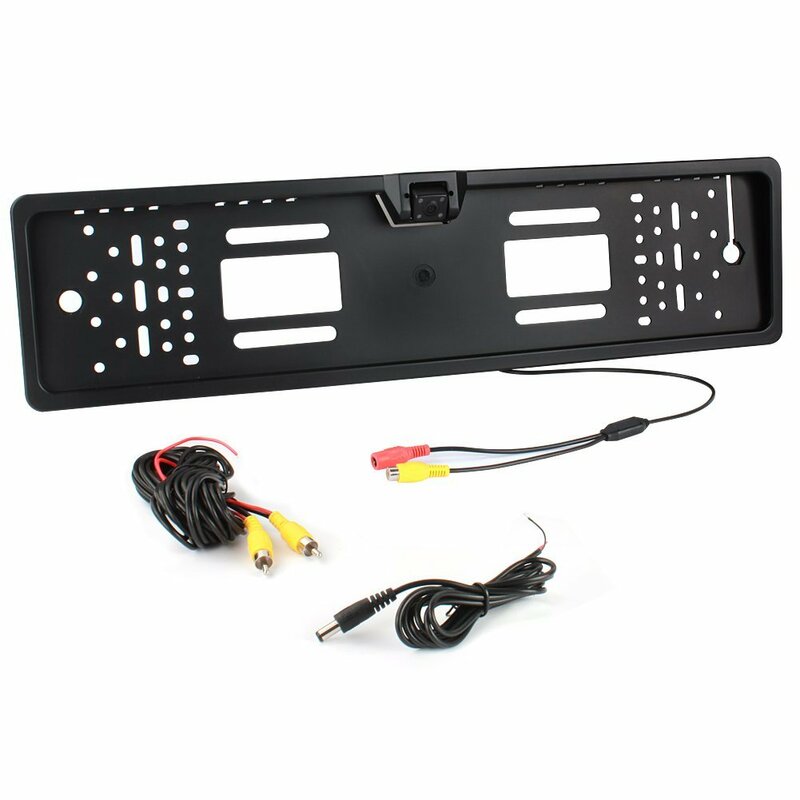 It is easy to install on any vehicle with a standard European license plate and has a 6m cable to run from the camera to your video display. If you are looking for a cheap reversing camera, and do not need a monitor with it, then this is the one for you. The Car Rover Universal reversing camera is perhaps the best choice if you want to test out the idea of using a backup camera without committing too much money. It comes with a 30-day money back guarantee and features night-vision, a wide viewing angle, a 5m video cable and is waterproof – basically all the standard features you would expect from a reversing camera. 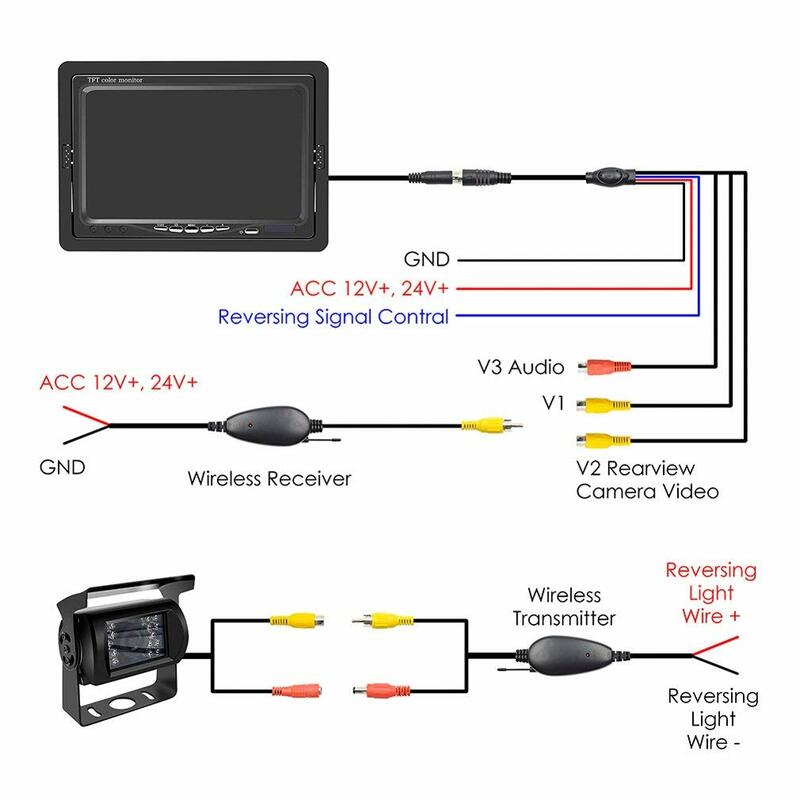 Not all cars have a built-in display screen to plug a reversing camera into, and the camera kits that include a monitor tend to be on the more expensive side. 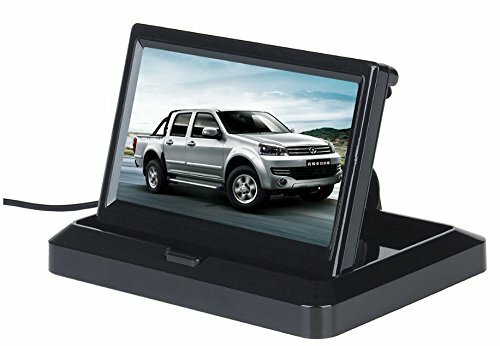 If you want to keep costs down and do not have a screen in your car already, then you will need to buy a cheap reversing camera and a cheap monitor separately. This foldable BW screen is a highly cost-effective option, which works perfectly well with all reversing cameras and doesn’t look as cheap as the price suggests. Most people looking to buy a reversing camera don’t have a great deal knowledge about how they work, and therefore don’t know what to look out for when choosing one. 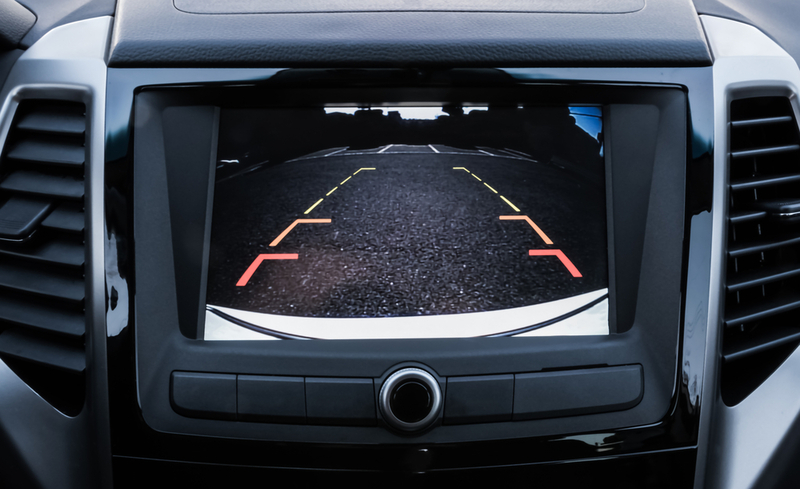 Rear-view cameras are a great safety feature for cars, helping to eliminate accidents while parking and reducing the stress and anxiety of trying to squeeze into a tight spot using just your mirrors for guidance. 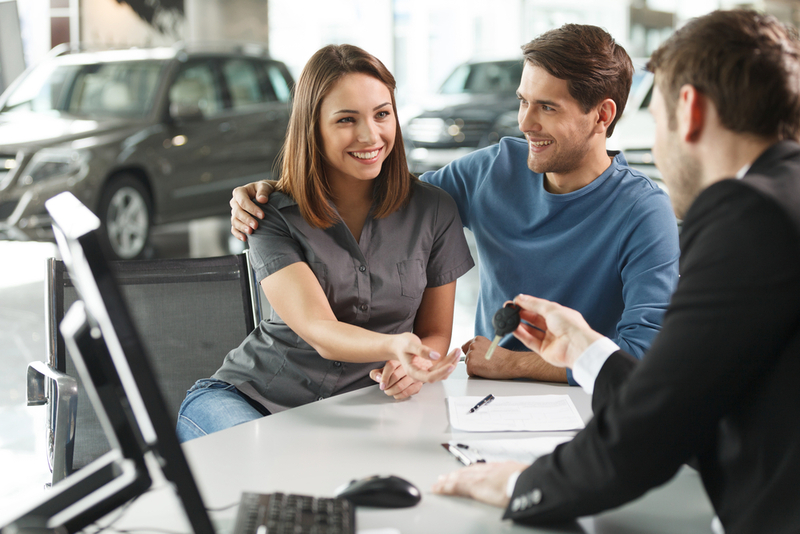 However, with so much technical information regarding how reversing cameras work, how to fit them and how to choose the right one – man motorists are put off from buying one. Perhaps the biggest consideration to make when buying a reversing camera is how much you can see. The most important factor to consider then is the field of view, which is determined by the size of the sensor and the focal length of the lens. Just like a normal camera, the bigger the sensor the better image quality you get, the better it works in low light and the wider viewing angle it offers. For example, a reversing camera with a 1/4″ sensor will provide a viewing angle of just 60 – 90 degrees, while a 1/3″ sensor will deliver approximately 120 degrees. Which makes a big difference to how much you can see in your monitor. You may see rear view cameras on sale that boast even higher fields of view such as 180 degrees and even 210 degrees. While these may sound like you get a more comprehensive view of what is behind your car while reversing, these cameras actually create a fisheye lens effect – making it more difficult to judge what is behind you. We would recommend sticking to cameras that deliver a 120-degree field of view where possible, as these offer the best overall performance. Choosing a camera with the right sensor counts for nothing if the monitor isn’t of a high enough quality. You may see some CRT monitors still on sale, but this is old technology and not good enough to deliver a clear image from your camera. For the best quality image, you should be looking for monitors with an LCD display – particularly those with a TFT-LCD display. That stands for Thin-film-transistor liquid-crystal display and offers improved image quality with better contrast than normal LCD. You also need to consider the screen size of the monitor – and where it will fit inside your car. The bigger the screen, the better you can see the display – but you don’t want this to get in the way of your field of vision. Monitors tend to be available with 5″, 7″, 9″ or 10″ screens – and it is purely a personal decision on which one to get. If your vehicle has a built-in display screen, such as a sat-nav screen, then a reversing camera can be plugged directly into that so you don’t need a separate monitor. This is the area where it can all get a bit too technical, with cameras on sale boasting lots of different types of sensor. You will tend to find reversing cameras with either CCD or CMOS sensors. CCD sensors are much better in terms of the quality of video and performance in low light conditions. Cameras with CCD sensors are therefore more expensive than their CMOS counterparts, but when it comes the quality of the image – particularly in low light – it’s not worth scrimping. To keep it simple when it comes to sensors, we recommend only considering reversing cameras with a CCD sensor. You can choose between either wireless reversing cameras or wired ones. There are pros and cons for each, so it’s worth giving it a little bit of thought before you choose. The main benefit of wireless camera systems is that it reduces the clutter inside your car that can be caused with wires running from the monitor through to the camera at the back. However, wireless reversing cameras rely on a transmitter which can suffer from interference – which sometimes results in a distorted image on the monitor when you are reversing. Seeing as you still need to wire the camera to a power source with a wireless system, we think a wired reversing camera is the best option. Cameras with mirror image capabilities are able to ‘flip’ the image they record so what you see on the screen is exactly how you would see it if using your mirrors. This is beneficial as you are already accustomed to viewing what’s going on behind you as a ‘mirror image’. Most reversing camera units are able to do this, and with some you can choose a normal or mirror image. However, there are some that do not flip the image, which are definitely to be avoided. Another feature to consider is automatic power-on. Most of the high-end reversing cameras have this, which involves connecting the camera to the reverse lights so that it turns on when you shift into reverse gear. It can be very inconvenient to have to switch on the system manually every time you have to reverse – so we recommend only getting a reversing camera that turns on automatically. Surface mounted cameras – these can be mounted on any flat surface and are usually mounted high up e.g. on top of a campervan or trailer. Flush mounted cameras – these are mounted through a hole drilled into the vehicle so that only the lens is visible. This looks cleaner, but as the camera is level with the road it doesn’t offer the depth of vision as a surface mounted camera. License plate mounted cameras – These are the easiest to fit, as the camera simply clips onto your existing number plate.